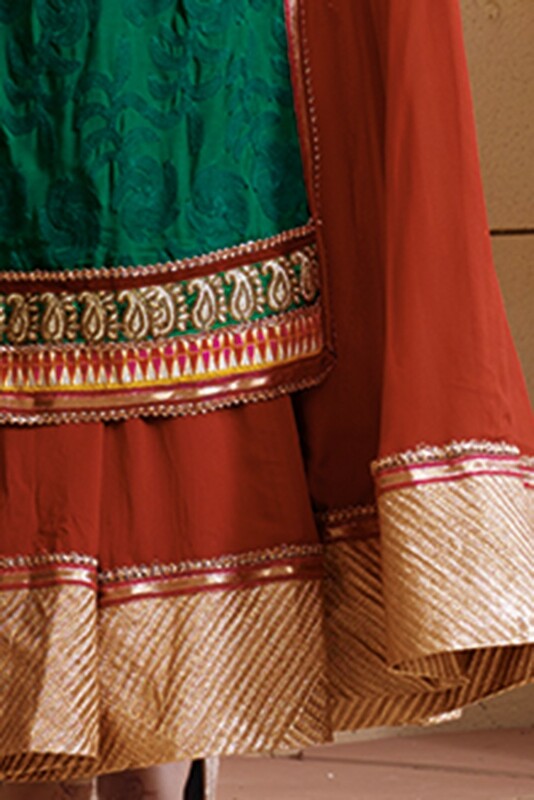 Brown and Green anarkali suit. layered pattern with top straight and under layer with anarkali style. 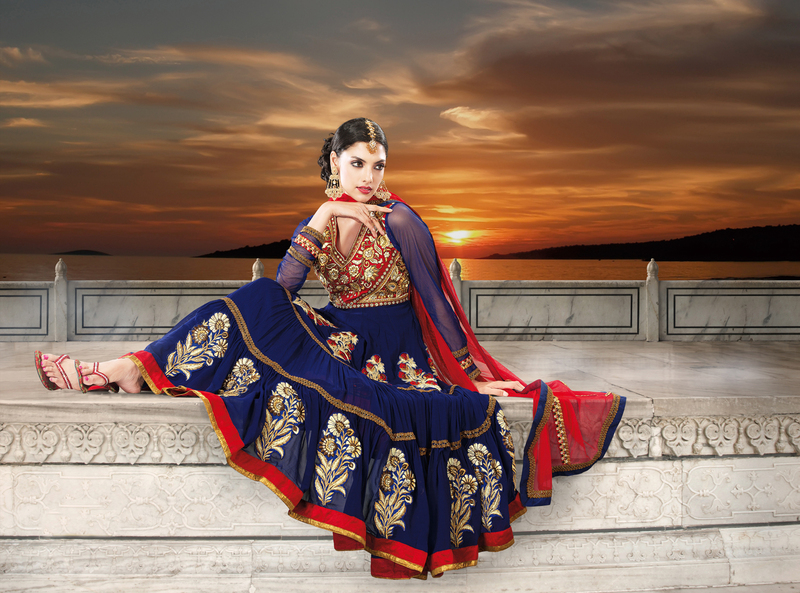 Has zari and hand work embroidery in neck and hemline. comes with matching dupatta and bottom.